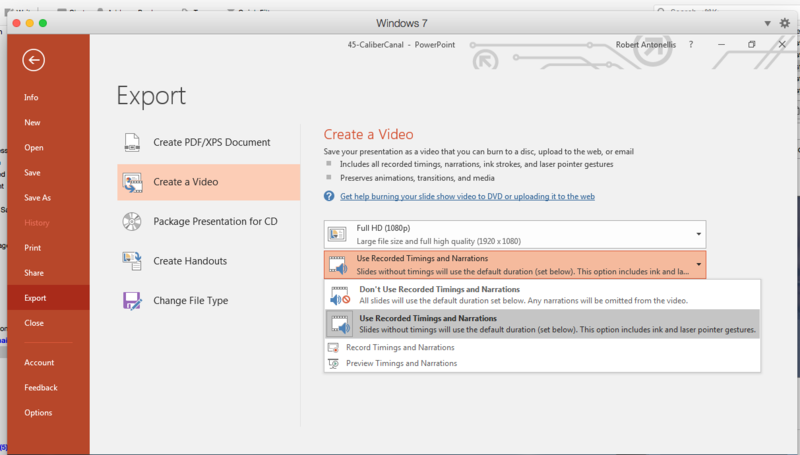 How do I record my voice with PowerPoint (Windows) Export to MP4 Feature? But do not get any prompting after that. When do I start speaking? And where is the highlighter I was reading about? This is a licensed copy, obviously. What gives?? You won't get prompted after you choose that. Open a new file in PPT. File > Options > Customize Ribbon. Create your presentation visuals. Maybe type your notes in the notes area if you need to. When you're ready to record, on the Recording tab, click Record Slide Show. You'll be in Presenter View with your webcam turned on if you want to record your talking head also. You can turn this off if you want. Record your presentation, then click Export to Video. Select the option that says use recorded timings and narrations. Then click Create Video. 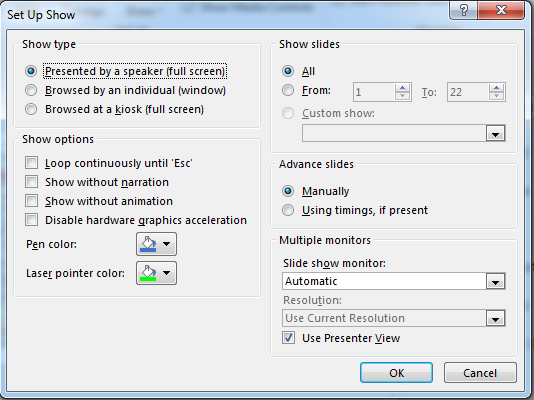 You can do this all separately by setting transition times on the slides and recording narration on individual slides. Then you'd click File > Export > Create Video and select "use narrations and timings" the same way. You may not have all the options (for example, I don't have apps and quizzes right now), but you should be able to do the basic recording and stuff. I prefer the Record button when recording the whole screen. But either way will work. Thanks for the help. But it still adds the audio "Trial"..."Trial"..."Trial"
And how about these settings? And, how do I get a pointer to show up? It's adding "trial" to your voice recording? That's really weird. Like a watermark? 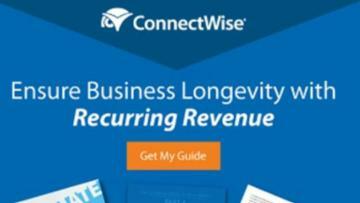 You have activated your subscription version of Microsoft Office 365, right? Your settings seem to be fine otherwise. If you need to record your pointer, make sure to use the select area option instead of the record screen. You might also be able to use control+A or right click and choose enable arrow when you're in slide show view to see the pointer. I'm not at my computer right now so I can't test it, sorry. I clicked on the speaker icon and saw "Media not found." Duh! I am running on Windows, via Parallels. So, I will open a new question to try and get that active. Yeah, but you should still get a real recording and not a "media not found" error. I'm running on Windows via Parallels here, and it works fine. Parallels is set up to use the mic and speakers on the Mac side. You do have shared folders, right? Try saving the presentation into a shared folder. I don't know if that will make a difference, but it's worth a try. I wanted to be clear that you should choose Select Area if you need to record your screen in editing view. Use Record Slide Show to record an actual slide show. You can use Select Area and select the entire screen to record a slide show also, but Record Slide Show is generally easier.